Anita Jo Intenzo-Haunted Author: DOES HOARDING CAUSE HAUNTING? Is there a direct relationship between someone hoarding a large amount of objects and their house becoming haunted? Is that rustling sound that of a mouse or a restless spirit? 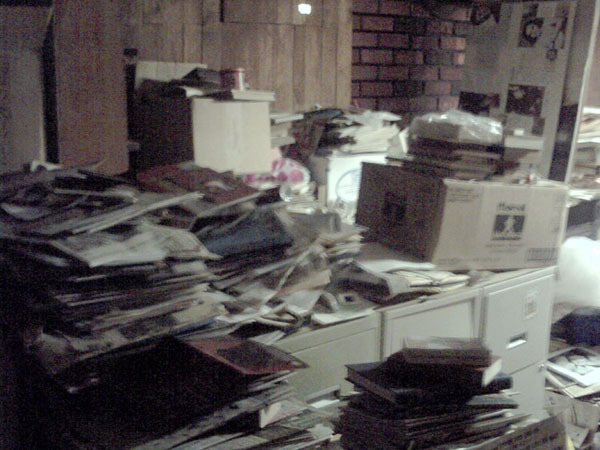 Compulsive Hoarding (or pathological collecting, or, informally, pack ratting) is a pattern of behavior that is characterized by the excessive acquisition of and inability or unwillingness to discard large quantities of objects that cover the living areas of the home and cause significant distress or impairment. According to the Mayo Clinic that did a study in 2008, rates of hoarding have been estimated at 2-5% in adults, though the condition typically manifests in childhood with symptoms worsening in advanced age when collected items have grown excessive and family members who would otherwise help to maintain and control the levels of clutter either die or move away. Clutter and hoarding can result in an accumulation or emit low-level energy; people living in these conditions are often afflicted with problems- financial, health, relationship and family. There are several popular TV shows dealing with this subject of excessive hoarding where you see people basically filling up their “free space” they occupy with tons of stuff which seems to fill a void in their lives. 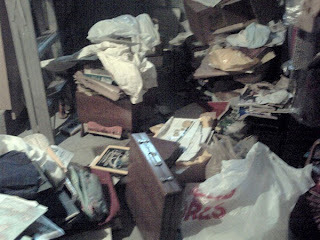 Some carry it to such extreme levels they are almost “buried alive” by all the junk. Everyone has a different story or reason of why they started living this way but they all experience the same psychological effects (and possibly psychic effects) of literally having their life force sucked out of them! This was certainly true of my deceased friend Paul* who lived his last few years in more and more isolation, as both his parents were deceased and he was estranged from his only brother and his family. I hadn't been invited to his home for several years and he always seemed to have excuses when I would mention I'd like to stop by to see him, which put a strain on our thirty year friendship. 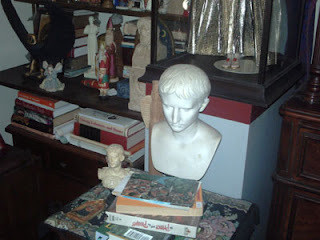 He lived among his “museum” of artifacts and hundreds of boxes of collectibles and I don’t know whether he preferred it that way or felt trapped. He was an anthropologist and world traveler who not only collected art objects but also bought and brought home some ancient artifacts from his time excavating in South America. He felt apprehensive leaving his home for long periods of time, neglected going to the doctor (even after numerous pleas from me) and became paranoid of even having workmen come in to fix his bathroom plumbing. We later found out that Paul* had been living in very hazardous health conditions with the discovery of dust, mildew and black mold while cleaning out his basement. We have no proof but it is safe to bet that these years of accumulated harmful vapors in the moldy air caused him to be ill and his asthma condition to worsen. He told me he was using his inhaler more frequently and it may have masked his heart disease when he was short of breath thinking it was just his asthma. By the time the paramedics got him to the ER he was unconscious and showed signs of a heart attack several days earlier. There was so much damage to his heart the doctors were unable to save him. What a sad way to live, to die, and then to haunt! 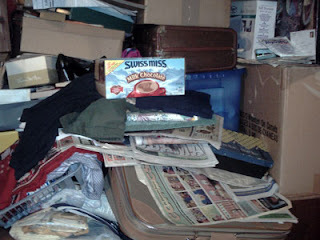 Some of the "hoard" in the basement which became the epicenter of the haunting. A tiny fraction of what we had to clean out. So what causes the Haunting? Our particular experience relating to this phenomenon is told in my book, Estate of Horror, and how we had to clear out fifty years of accumulated hoarding by my friend, his mother and father and were then confronted by terrifying poltergeist activity as we tried to de-clutter the house for eventual sale. The more we cleaned out the house the more the strange activity escalated. We learned from a psychic medium that came to the house and was in communication with my friend Paul, “That my deceased friend and his family were upset with the major changes happening to the house and their emotional attachment to their hundreds of possessions did not end with their lives. They still wanted everything to remain the same.” We found this to be impossible to comply with as the house was to be sold and the proceeds donated to charity as specified in my friend’s will. I had no choice but to carry out his wishes. 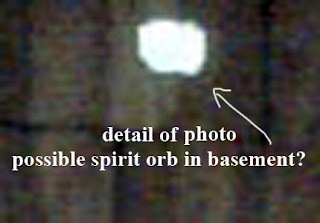 This made the ghosts angry and the haunting at the house become dangerous. This photo was taken at the very beginning of the clean-up in January 2009. We didn't see this on the photo until later and have no explanation of this white spot. There was no light above, the paneling was dark and not shiny to reflect light. Yes, clearing out clutter and debris can improve a “hoarders” life one box at a time. 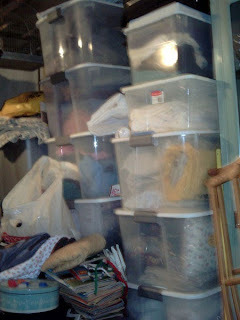 With professional counseling, clutter-busters and experts in organizing, a person can get help. There can be a psychological release that is physically, emotionally, and spiritually liberating in changing their lives. 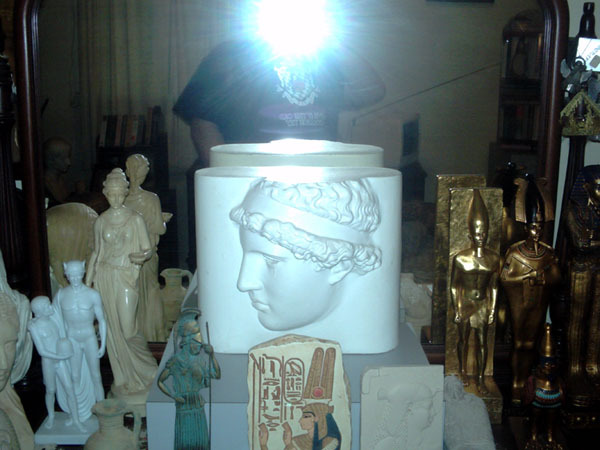 But, what about the possible psychically linked energy that may have been attached to some of the objects? The Mayo clinic and other scientific and medical organizations won’t address this. Does Hoarding and Haunting go hand in hand? It’s just a theory, but from my personal experience, I believe it to be one that deserves further investigation. What happens to those of us who cleaned out a hoarder’s house? In my case, you write a book about your experiences of being the Executrix of a deceased friend’s estate as a cautionary tale. In the ten months’ time it took us to clean out the house we found we had disturbed something supernatural and liberated some evil spirits that continue to haunt us even today!